Is the rear ending driver always at fault? It’s a belief that’s ubiquitous among drivers: in a rear-end collision, the driver in the back is always at fault. But is it actually true? Unfortunately, no. There are instances where the driver that rear ends another vehicle isn’t at fault. Telling the difference can be tricky, even with a car accident attorney at your side. To understand fault in auto accidents cases, one first has to understand negligence. Negligence is when an individual’s conduct demonstrates a level of attention and care below that of a reasonable person. An individual can be deemed negligent if the accident could have been prevented by actions that a reasonable person would have taken, but the individual did not. In the case of a rear-end collision, either driver involved can prove that the other was negligent, especially with the help of a good car accident attorney. All drivers are responsible for a certain level of care when operating a motor vehicle. Either party in a collision can breach that duty in several ways. Either driver may have failed to watch the road for hazards and stop in a reasonable amount of time. Either driver may also have failed to maintain a reasonable speed or lost control at the vehicle. Drivers in front may be held responsible if they failed to yield to the right of way or neglected to use turn signals, and the following driver would be responsible if they didn’t follow at a safe distance. The driver that rear-ends the vehicle will almost always be considered partially at fault because of the responsibility to follow at a safe distance. However, if the driver in front reverses or stops suddenly, has faulty brake lights or fails to pull over in the event of vehicle failure, they may be considered negligence as well. 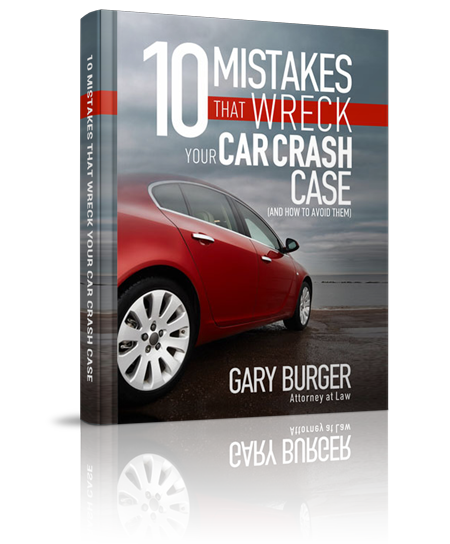 These cases are harder to prove and usually require a good car accident lawyer. Once the instance of negligence has been determined, the driver must prove that the other driver’s negligence caused the accident. Then they have to prove that the accident left them with significant damages that merit reimbursement. If you’re rear-ended in a semi truck accident, it opens up a whole new set of complications best left to a truck accident attorney. Even though recent truck accidents have caused nearly 4,000 deaths each year, and only 10% of trucks on the road are equipped with active safety technology, the large corporations behind truckers can complicate lawsuits against individual drivers. Truck accident lawyers have more experience navigating these tricky waters and can help you get the settlement you deserve.